Is there a better alternative to eZeScreen? Is eZeScreen really the best app in Video category? Will eZeScreen work good on macOS 10.13.4? 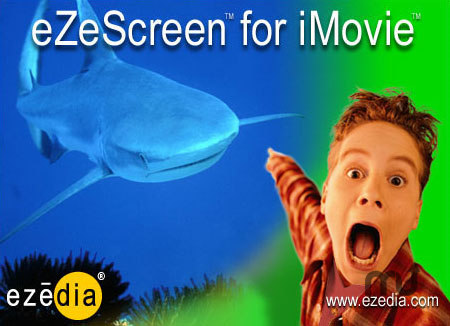 eZeScreen for iMovie is the second in a series of iMovie enhancements from eZedia. Similar to blue screen and green screen effects in Hollywood movies, this plug-in allows users to position an additional movie over an iMovie clip and adjust the transparency and fade levels of any selected color - add animated logos, talking heads, or any QuickTime supported movie. Mac OS X Universal Binary release (upgrade). Added support for Effect In/Effect Out. Updated user interface and documentation. Added background shadow blur to eZeClip. eZeScreen needs a review. Be the first to review this app and get the discussion started! eZeScreen needs a rating. Be the first to rate this app and get the discussion started!